The Model CTL36‐P24‐C6‐T1‐BX shown below is typical and representative of the CTL36 Models. For more information on specifying a cantilevered rotation fixture, see the SMALL SATELLITE FIXTURE OPTIONS page and SMALL SATELLITE FIXTURE CREATING A MODEL NUMBER pdf. 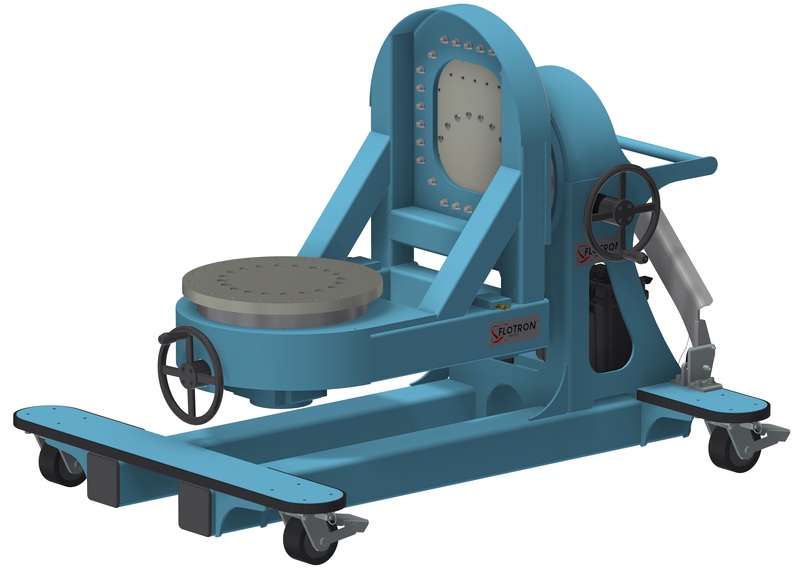 Rated Load Capacity: 3,000 lbs with CG located at 30” from interface plate and 2.6” from rotation centerline.